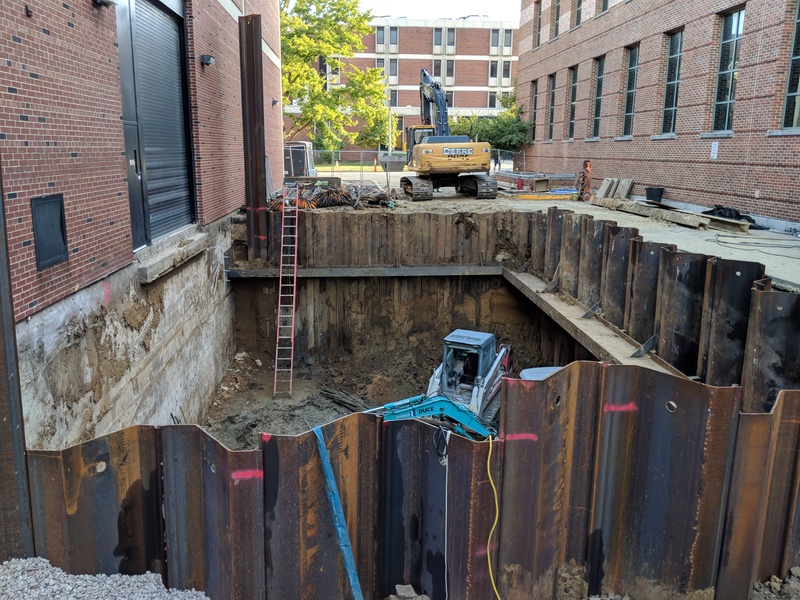 As part of the renovation of the Hydrosystems Laboratory, a new 50,000 gallon sump is being built on the west side of the building between the Hydrosystems Laboratory and the Coordinated Sciences Laboratory to support continued activities within the main laboratory space, the Ven Te Chow Laboratory. 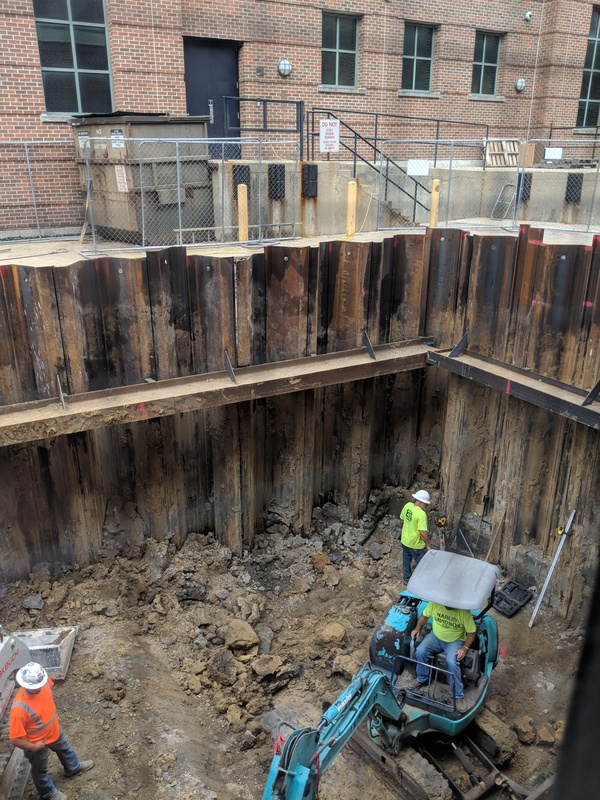 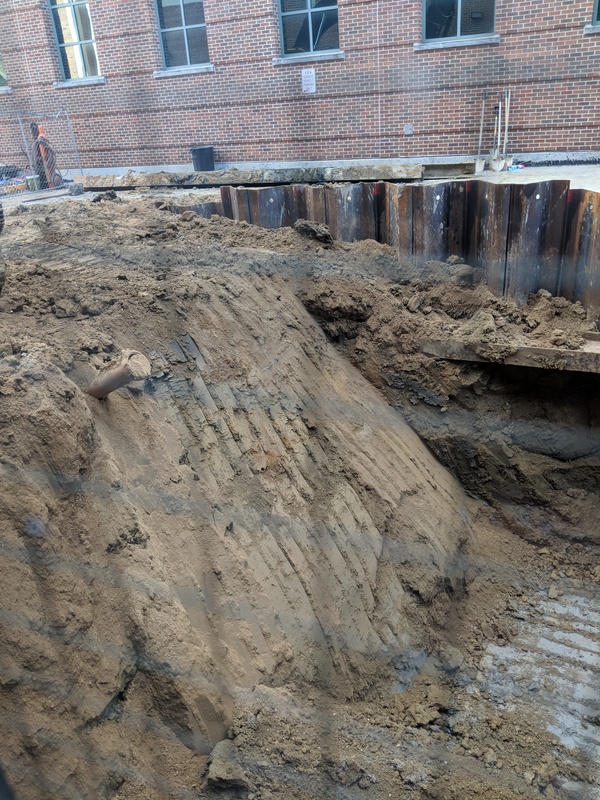 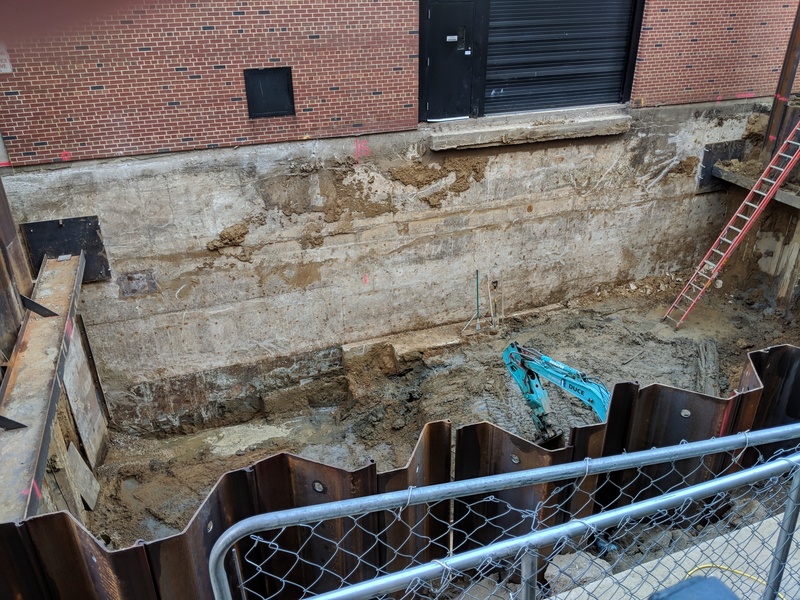 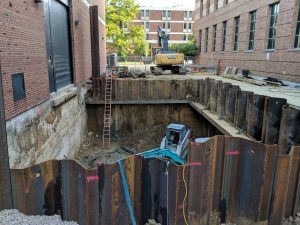 The new sump will replace the existing 100,000 gallon sump that is within the footprint of the building renovation that will be removed to make room for basement laboratories and research space. 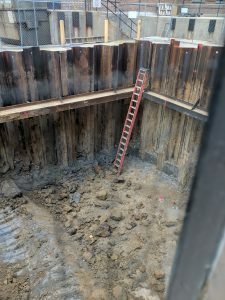 The reduced volume of the sump is made possible by optimizing the geometry to minimize the “dead” volume required to ensure that the pumps had a sufficient water depth to prevent air entrainment. 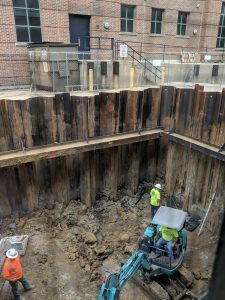 This is aided by a change in pump style from vertical column pumps to bottom-suction submersible pumps. 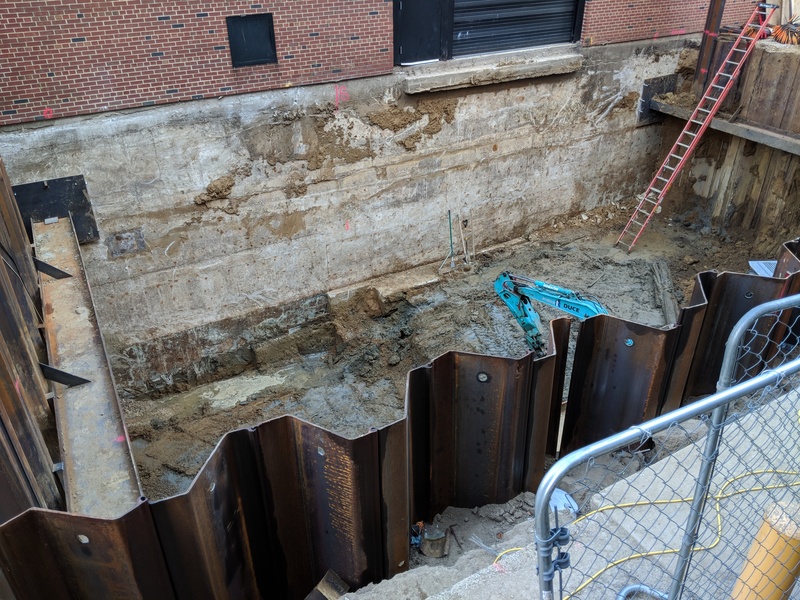 Once completed near the start of 2019, the system is expected to supply up to 12 cfs of flow to the existing laboratory piping system – matching or exceeding the existing capacity. 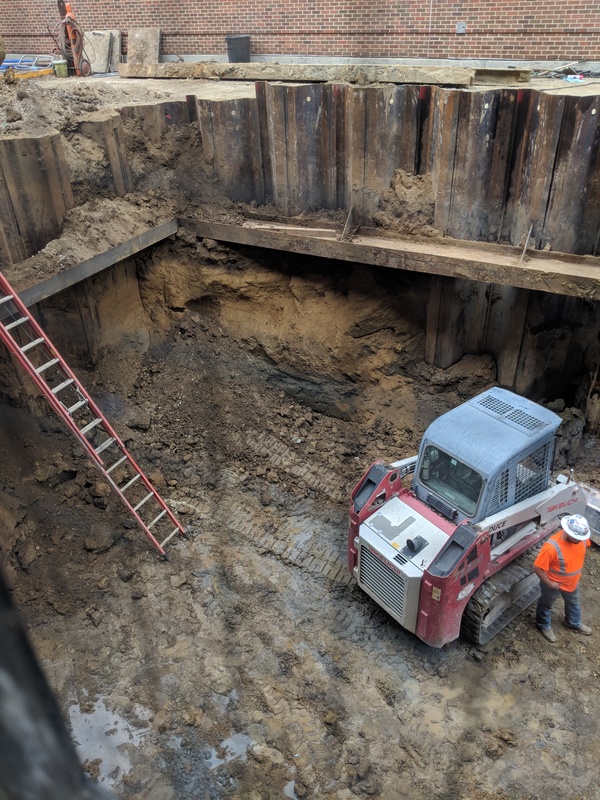 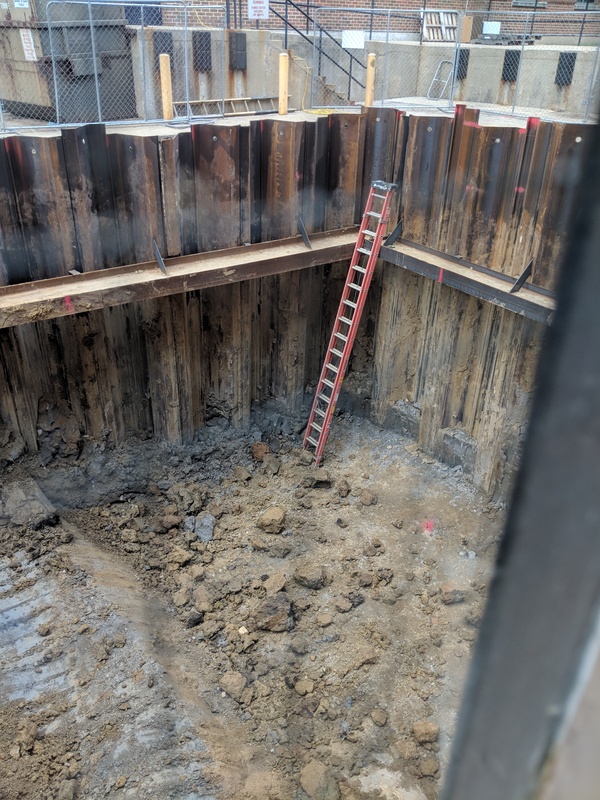 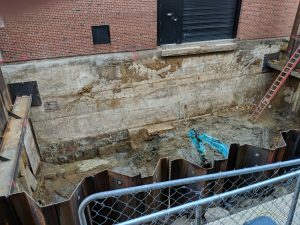 A few photos of the sump excavation are below.